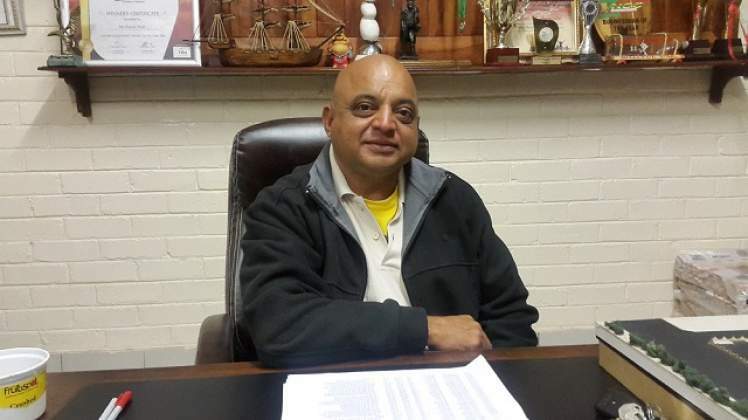 Mthwakazi Republic Party has accused Bulawayo South MP Raji Modi, the Deputy Minister of Industry and Commerce, of bootlicking President Emmerson Mnangagwa to another dimension. Party President Mqondisi Moyo said in his Twitter space, Raji modi gave progress of the delayed construction of his mall in Cowdray Park, before declaring that it will be named after Emmerson Mnangagwa. "This move by Modi, flies against the spirit of devolution that must empower communities to brand themselves and identify with their history, present and future aspirations. We have our own heroes in Matabelelend, the likes of Canaan Banana, Sydney Malunga, Phelekezela Mpoko, Fletcher Dulini, Jabulani Sibanda, Dumiso Dabengwa, Nalinan Naran, Gibson Sibanda, Thenjiwe Lesabe, Lookout Masuku, Colonel Lazarus Ray Ncube, David Sharpshoot Moyo, Ackim Ndlovu, Makhathini Guduza and many others, who have never been honoured. We acknowledge that this is personal property, but what has Mnangagwa done in Bulawayo which qualifies him to be honoured before former President Cannan Sodindo Banana and other Matabelelend heroes of our struggle," he said. "We warn Modi to take his bootlicking antics out of Bulawayo. What he is doing, is disrespecting the people of Bulawayo. Your mall will burn together with Mnangagwa's name. Your mall will accompany Mnangagwa to the gallows when the moment of truth defeats the moment of madness. In your quest to reward Mnangagwa for appointing you as deputy minister, don't fall victim to the moment of madness." He said MRP refuses that their land and heritage be used as a parcel pack for rewarding personal patronage. "We will confront you, Modi, until you take your structure to where Mnangagwa is significant. Matabelelend knows Mnangagwa as one of the Principal architects of Gukurahundi, a genocide that wiped them off the face of their land. That perception will stick until Mnangagwa appoints a neutral commission of inquiry, headed by an international judge or human rights practitioner to probe the genocide. Until such happens, people like Modi must not disrespect the people of Bulawayo," he said. "We invite all the people of CowdryPark and Matabelelend to reject this public relations stunt by Modi, to polish up the image of Mnangagwa in Matabelelend. If Modi is short of liberation memory, we are prepared to assist, in suggesting to him, names that resonate with the liberation history of Bulawayo. We are tired of this bootlicking and disrespect. It shall not happen ko Bulawayo."